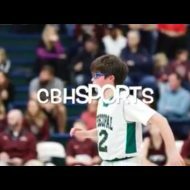 Posted bycbhsports	 January 2, 2019 Leave a comment on Christmas break is ending!!! Since Christmas break is ending,I’m going to be putting out a raw interchangable schedule until the start of NCAA Tournament.So here it is. CBH Sports:At least one post on one of these five days. Throwball News:Depending on what happens there will be zero to two posts on Monday through Friday. Throwball News:Zero to one post. CBH Sports:College basketball Saturday reviews will start at least by January 13. Throwball News:College Throwball Top 25 every week.